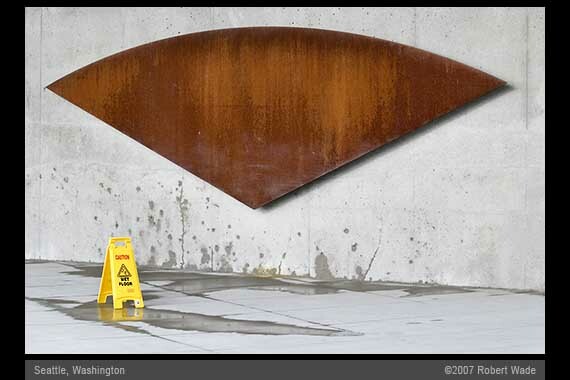 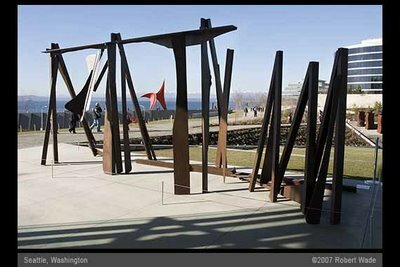 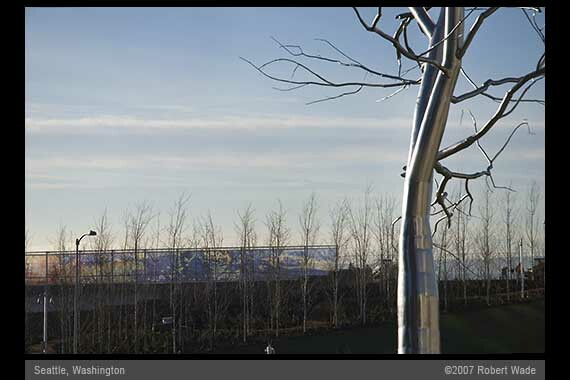 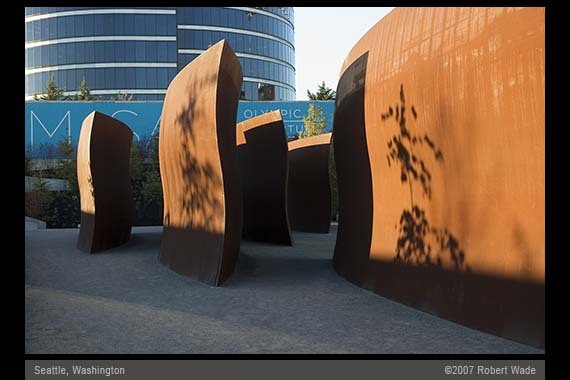 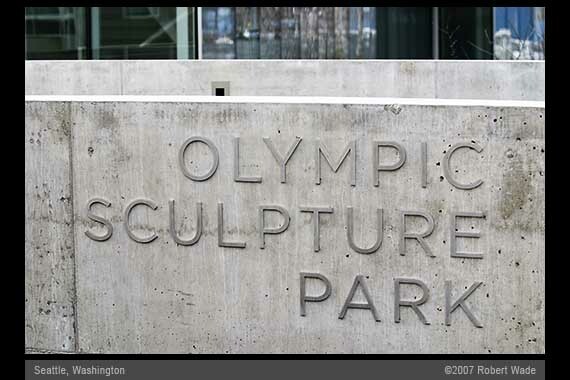 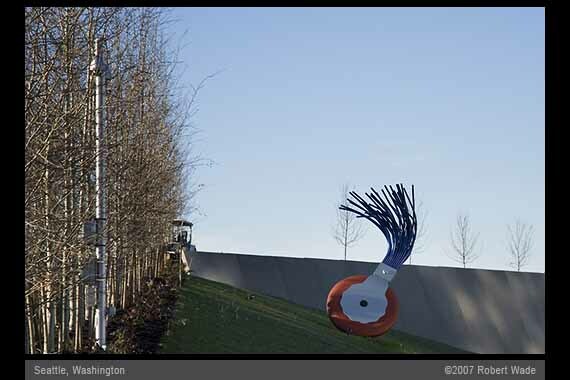 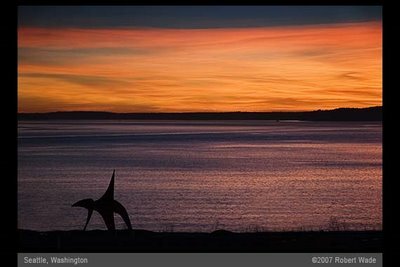 In January, 2007, the Seattle Art Museum officially opens its Olympic Sculpture Park. 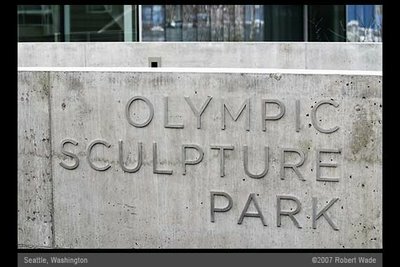 For a comprehensive background on the park, please visit my friend Bruce Moore's overview. 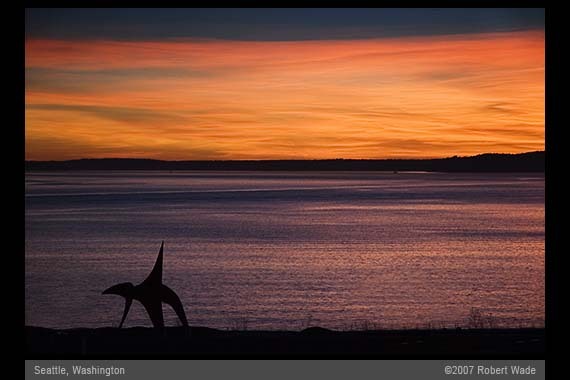 On the lower left above is Alexander Calder's "Eagle" in silhouette at sunset. 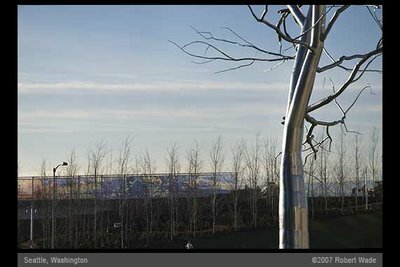 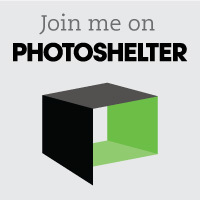 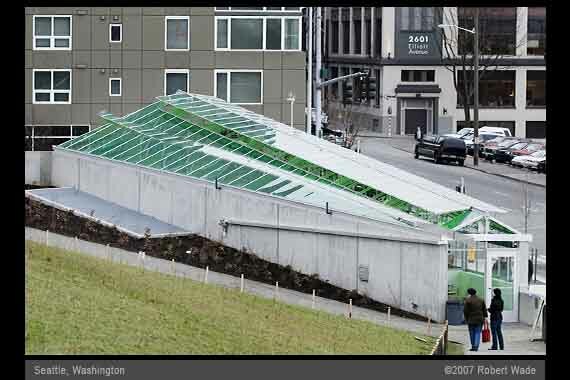 The Seattle Art Museum used this image in selected promotional materials for the park's opening. 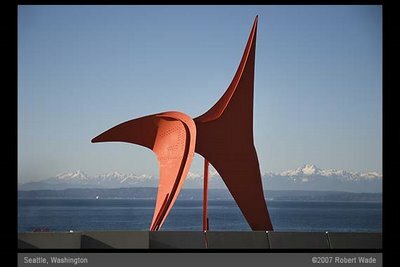 Below is another view of the "Eagle" with Elliott Bay and the Olympic Moutains in the background. 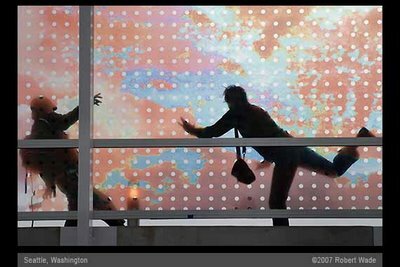 Among the first visitors to the park, the couple above found play irresistible.